Nintendo is brave to launch a handheld type console in 2017, with mobile gaming the largest it’s ever been. How might it affect video game consoles of the future? 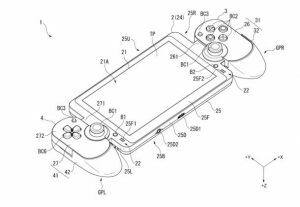 Will Sony move forward with its Switch like handheld patent? Or maybe even Microsoft will jump in with its own portable Xbox. Will Nintendo even make another console and go the way of Sega as a software only company. It all depends on the success of the Switch. Nintendo coming off their biggest flop since the Virtual Boy, with the Wii U, is taking perhaps their biggest risk with the unconventional hybrid console. Early impressions of the Switch weren’t off to a fantastic start, as media outlets were reporting desyncing issues with one of the joycon controllers. The joycon grip has also received mixed impressions on its comfortability, but this is of course dependent on the size of the gamers hands. Late Night Gamers own Cory Jackson said in his review (http://lngamers.com/wp/?p=2965) that he felt that the joycons in the grip was a “legitimate controller”. When talking about the buttons he said “The buttons and triggers feel nice but they are a little small” Be sure to check out his review of the Switch in the link above. Other aspects of the Switch were praised such as the seamlessness of going from handheld mode to TV mode. It as also been praised for its featured launch game “The Legend of Zelda: Breath of the Wild” receiving 10/10 pretty much everywhere. A Sony patent from 2015 with a similar look to the Switch. But how will it affect what Sony and Microsoft do with their platforms? It’s been no secret that the PS4 has dominated the 8th generation, beating the Xbox One and more significantly the Wii U. With Nintendo getting the ball rolling on the 9th generation of consoles, and possibly Microsoft as well with Project Scorpio coming this Holiday season. Will it force Sony’s hand to push out their next console? Or could Sony and Microsoft make a hybrid console of their own? Well I can see it going two ways. If the Switch is successful, there’s no doubt that Nintendo will continue in the console market. I believe Sony would jump back into handheld gaming if the Switch’s sales numbers are good enough. Another scenario is the Switch is Nintendo’s next flop. With sales less than 15 million, Nintendo could jump out of the console game all together and go the way of their former rival, Sega. I really don’t see this happening as Nintendo is to smart to have their second console in a row bomb on the market. There are fanboys out there that say Nintendo is done, and that the Switch is dead on arrival. We may not all agree on everything, but there is one thing I think Playstation and Xbox fanboys can agree on. Nintendo being successful is great for the video game business as it mean competition. What comes with competition? Better games.